The Female Entrepreneur Association is leading the way for women to build wildly successful businesses all over the world and live inspired lives. 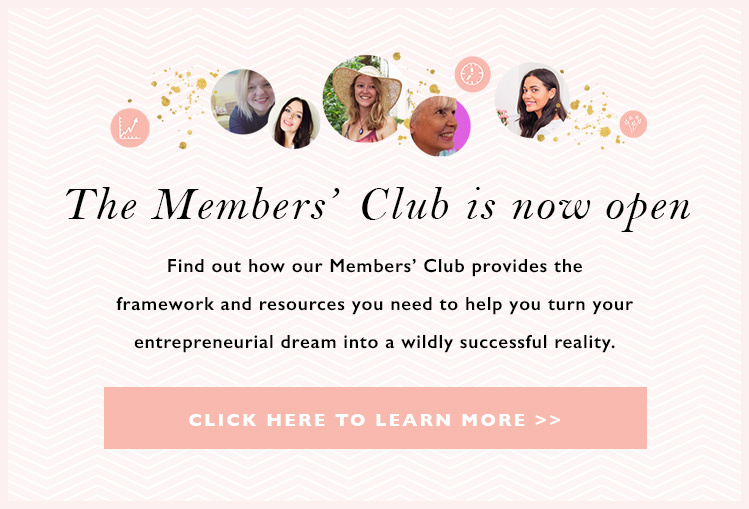 The Female Entrepreneur Association (FEA) is a global platform dedicated to inspiring and empowering women from all over the world to turn their dreams into reality and build wildly successful businesses. We share the best content to educate and show women what’s possible. Our membership is at the heart of FEA and offers women a space to learn, connect and get the support they need to succeed. Our mission is to inspire and empower millions of women every month to start and grow amazing businesses. Providing the best strategies, inspiring them to keep going, cheering them on, really letting them know they’re not alone, they can do and it we’re here for them every step of the way. Our goal is to build a platform like no other out there – one that’s full of practical help, along with lots of heart, soul and fun. We want to be the best by way more than a mile. What’s it like to work for FEA? FEA is not your bog standard organisation to work for. At the heart of FEA is the idea that we should all be living our best lives and achieving incredible things. We don’t just want it for the people we serve, we want it for our amazing team too. Your happiness and fulfillment are so important to us, which is why there’s no clocking in, flexible hours, opportunities to travel and attend incredible conference, freedom to be creative and come up with your own ideas for FEA. Want to work from home one day? We say, do it! Want to travel to San Diego to attend a conference? We’ll send you! When you work for us, you’ll do your best work ever, because you’ll feel so inspired and empowered to do it. It’s going an incredible adventure and you’re going to feel so alive. Success on purpose || At FEA we work to an incredibly high standard to shine as bright as we can and create success on purpose (and with purpose). You’ll be working alongside our founder, Carrie Green. Carrie’s an award-winning entrepreneur, with an international bestselling book, She Means Business, and a TEDx Talk seen by over 6 million people. She’s been featured in magazines, newspapers, radio and TV and her desire to spread the message that women can build successful businesses is contagious. A dream team that’s lovely, but fiercely determined || We might be sweet, but we’re fierce when it comes to making our mark. We’re determined to produce the best work, which will inspire and empower women around the world. We work together, with one vision and we’re unstoppable. If you’re sweet, but fierce you’re in the place. Become your BEST. We want to help you become your best self and so we’re committed to providing the best training, giving you a budget to attend amazing trainings around the world. You’ll also be learning from incredible people who are on a mission to learn all they can and be their best too. Grow to new heights. There are no limits on what you can achieve and where you can go. You’ll have the ability to come up with your own ideas and see them through. You might start off in one position and grow into another position really quickly – how motivated are you? Sweet, but fierce. You’ll be surrounded by the best of the best. People who are so lovely and friendly, but who are fiercely determined to excel, grow and succeed. Flexibility. We believe flexibility is important to ensuring you have the perfect mindset for working at your best, so working from home and changing your hours to suit you are on the cards. It’s not about the amount of time you work, it’s about the results you get. Work hard, play hard. While we work really hard to produce the best results, we also have fun along the way… our dream team retreats are the best! Inspire & empower. This is the lifeblood of FEA – everything we do is to inspire and empower. If it’s not inspiring or empowering, then we’re not doing it. Be the best. We believe that life should be lived being your best. This means going above and beyond with everything you do… sloppiness is not allowed around here. If you say you’re going to something, do it the best you possibly can. Sweet, but fierce. To succeed we must work together, being open, honest and having integrity. We truly support each other and are kind and considerate. Never stop learning. The most successful people are those who never stop learning. We can’t get enough of it and it’s everything we’re about at FEA. We don’t have any openings at the moment, but we do have a lot of openings coming up, so keep a look out if you’re interested!